Another Friday, and so it’s time yet again for the weekly fuel price update. The coming week sees the price of petrol going up once more, but only for RON 97, since that of RON 95 is capped. From tomorrow, March 23, RON 97 will be priced at RM2.61 per litre (up seven sen from the RM2.54 last week). No change for RON 95, its price remaining capped at RM2.08, which is the maximum price consumers will pay no matter how high market prices push pump prices beyond that mark. Elsewhere, no change in the price of diesel, with Euro 2M diesel continuing to be priced at RM2.18 per litre, its capped price, while Euro 5 diesel, which is always 10 sen more than standard diesel, remains at RM2.28 per litre. The government said that without the price cap in place for both fuels, RON 95 would actually be priced at RM2.31 per litre while diesel would be at RM2.38 per litre, if based on that formulated through Automatic Price Mechanism (APM) calculations. These prices will be in effect until March 28, when the next set of fuel price adjustments will be announced. This is the 12th edition of the weekly fuel price format, which is set to be announced every Friday. The prices will be effective from Saturday until the following Friday. 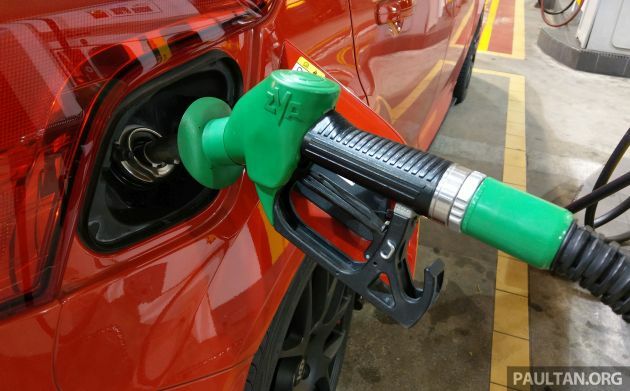 The post March 2019 week four fuel price – petrol up yet again appeared first on Paul Tan's Automotive News. 0 Response to "March 2019 week four fuel price – petrol up yet again"